3. Where Can We Find This Information? Sometimes a fundamental approach is even more important than a technical one. From George Soros to Warren Buffet, some of the world’s most famous traders have admitted that they owe their fortunes to the fundamental analysis they have made over the years. Where can we find all the information? George Soros once made more than $1 billion in a forex trade alone, going short on AUD/USD, based on fundamental analysis. The Chinese economy was showing signs of weaknesses and the Australian economy is heavily dependent on the exports of raw materials to China. 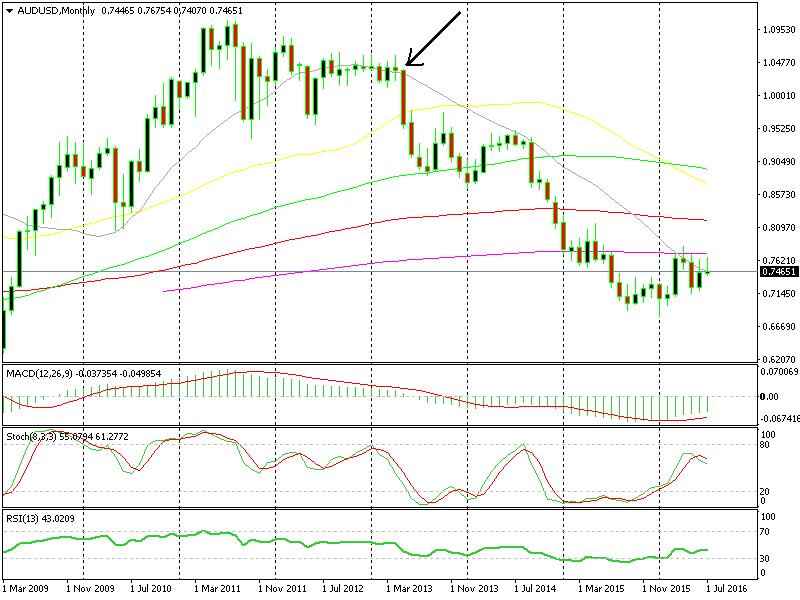 Weakening Aussie economy and cutting of interest rates by RBA were the reasons behind the trade. Thanks to this he is $1 billion USD richer. This is a good example of how fundamental analysis should be employed. Fundamentals do not get the attention they deserve. Too many traders use only technical trading approaches without knowing anything about the economic environment and the markets in which they work. On the other hand, there are many traders who do just the opposite – abandon technical analysis and follow only fundamentals. Our approach in Market Leaders Forex Course, like in many other things, is that combining these two approaches is ideal. In order to trade like pros, you should definitely get to know them well. Fundamentals help us understand market and trends deeply, intuitively and logically. Fundamental traders are considered long-term investors. Fundamental traders are most often very familiar with market forces; know one or two things about the economy, capital markets, and microeconomics. Their goal is to make a profit by taking advantage of opportunities as they arise, so they have to be particularly well acquainted with the rules of the game, the players, and the playing field. Remember News and events that you on the internet, TV, and radio affect the Forex market. What exactly is the fundamental approach based on? How can we use it in our trading strategy? Let’s think of the different economies in the world. Think of the economy of the market in which you live. Think of market conditions, the endless amount of news every day, hour by hour. The world has become very small, a global village as the cliche goes. Wars, elections, politics, social issues, and many other factors affect Fundamentals. One of the great fundamental events that recently shook the forex market sent the Euro 500 pips down, and made the British Pound collapse by about 20 cents (2,000 pips) was the Brexit referendum to leave the EU. Each new event or announcement causes reactions from investors and speculators, not only within this market but all over the world. Governments, central and commercial banks, policies, and even natural disasters all play a part in Forex. Think about it this way – if the owner of the grocery store next to your house would reduce prices, you would probably buy there more. If you think of buying a new stereo for your living room and find out that in one month the government is planning a tax increase on electrical goods, you will probably buy it earlier. Now imagine there are tens of events influencing trade each day, sometimes dramatic events, drastically affecting the market. Are you starting to understand why fundamentals are so important? Planning for the long term: Fundamental analysis is less efficient for forecasting trends in the short term. This approach explains and teaches what logically “should” happen right now to market prices, a reaction to events. Therefore, it is a great system for the long-term. It explains global trends. Fundamentals discuss the reasons for present trends and not the trends themselves. Some events last much longer than traders’ responses, having longer effects on markets. Tip: Fundamental trading is not advised for a couple of days trading (and obviously not for intraday trading). It suits traders who search for long-term trends, which can be in weeks, months, and even years. Economic news surrounds us – Fundamental data comes from varied sources and appears as announcements, reports, and releases. You can read them online, through the Web, on news sites, economics, capital markets and Forex sites. The regular media publishes many of the events. In order to become a fundamental trading expert, you must see the whole picture. Use your experience to recognize a range of connected events, and don’t just analyze a single piece of data. One fundamental announcement might shatter all previous technical analysis you have built and followed. Traders who only work with short-term technical tools, often miss great longer-term investment opportunities (and vice versa). The Interest Rate is the market rate that the buyer (or borrower) has to pay the seller (or lender). Interest rates impact the local currency’s strength against other currencies. Interest rates in each country are determined by its central bank, as part of its monetary policy. The compatibility of interest rates to market conditions helps maintain stability. Central banks raise interest rates in order to decrease inflation if they believe it is too high. In other words, increasing the interest rate will cause inflation to slow down and even stop, which in turn leads to a drop in prices while strengthening the currency! Meaning, it moderates the pace at which the economy grows. Remember: In a healthy economy the interest rates usually vary between 3% and 5%. For those who are not quite sure what inflation is – it is growth rate in prices. Inflation is the reason a chocolate bar that cost 5 cents twenty years ago costs 30 times more today. All in all, central banks are interested in market growth, but to control inflation (so it will not go too high), they raise interest from time to time and thereby restrain and control growth. Inflation higher than 2% is usually not healthy. The same goes for a market with no inflation at all. Example: Assume that a month ago, inflation in your market was 2.6%. During that month inflation rose to 3%. We will definitely want to know what actions the central bank is going to take, and why. We can assure you that this move will affect the market. Why? Because the central bank will increase the interest rates to fight inflation. That means that the respective currency will be evaluated further. A high-interest rate has another impact: It attracts outside investors to enter and invest in the economy, and by doing so, it strengthens the currency. Imagine you have $1,000 under your floorboards. You wish to put it into savings and you are about to decide between one of two banks. The clerk in Bank A promises you 5% annual interest ($50 profit). The clerk in Bank B promises you 10% annual interest ($100 profit). Of course, you will choose Bank B. For this exact reason, if we look at market activity, high-interest rates will cause many players on the one hand to save more, and on the other hand to reduce borrowings (it is less worthwhile for them due to higher repayments). Think of how exciting it would be if we discovered a world full of possibilities to invest our capital in accounts that are able to yield returns of tens and hundreds of percent annually. Well… such world of possibilities actually exists – the Foreign Exchange Market – Forex! Fundamental understanding can produce tremendous profits, just by knowing market forces and its players. There are several currencies, like Brazilian Real, Russian Ruble, or Vietnamese Dong that have gained a lot of strength in just few months. Experienced traders have made fortunes forecasting and escorting those moves. We are talking about tens of thousands of dollars and more (without even mentioning leveraging profit potential, as you learned in the previous lesson). The interest rates also have a high impact on the indices. Normally, stocks would go up when the central bank raised the interest rates because it meant that the economy was improving (like the 2008 financial crisis). Nowadays, the indices go up when the interest rates are cut, because it means that more money will flow into stocks, despite a worsening economy. Interest rates across the globe have the biggest single influence on the Forex market! Market’s stability is the name of the game for the currency it represents. Remember: announcements about interest rates deeply affect currency trading movements. Example: In the early 2000’s, the interest rate in the U.S. decreased. This move had a huge influence on the US dollar for many years to come, in a process lasting almost a decade (till approximately 2007-2008). Reducing interest weakened the dollar against other currencies, thereby changing the face of U.S. real estate throughout the first half of that decade. The order of events is supposed to follow the order of the above examples, but it doesn’t always work that way. The purpose of the image above is to simply show how things are supposed to go in a perfect world. But we don’t live in a perfect world, that’s why you must understand the fundamentals. 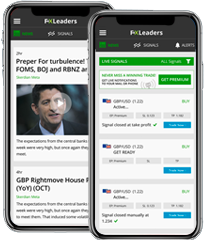 We have written this course just for that – and you can also follow our live market updates to understand the forex market in real time. The most significant times in a given market are when interest rates are expected to change. If the interest rate has already moved in a certain direction a few times, it must be balanced back. That is what speculators build their trades on. Interest Differentials – a trading method based on two currencies’ rates: Many traders choose pairs by comparing the interest rates of two currencies. If the “interest rate differential” (the gap between the two interest rates) gets bigger, it will strengthen the stronger currency of the two (and vice versa). This strategy is called the “Carry Trade Strategy” (you will learn more about Carry Trading later on in the course). While one interest rate is supposed to go up and at the same time, the other one will go down, this could cause serious changes in price. A Central Bank is a state bank whose job it is to manage and run the country’s monetary policy while maintaining the currency’s strength and stability. the central bank’s monetary policy aims to ensure prices stability and market growth. It also controls inflation, interest, money supply and banks’ reserves. In solid markets with continuously growing economies, central banks will respond to high inflation by increasing the interest rate. As we have already mentioned, this constant zapping navigates between the need to retain stability and the desire to attract foreign investors. We, as traders, can respond by trading according to the monetary policy, its targets, and purposes. Central banks can also print more banknotes in order to expand the supply of the currency. This might change its strength compared to other currencies. It would make the currency weaker because the more currency in the market the cheaper it gets. Important: This is the reason why it is so important to follow economic releases and events throughout the year, emanating from the central banks! Mrs. Janet Yellen is the current head of the American central bank- the Fed (Federal Reserve Bank). It is recommended to follow the announcements she makes to the media. Remember, Fed policy has the biggest influence in the world on the Forex market. Other key players worth mentioning are the largest commercial banks (such as UBS, JPMorgan, Deutsche Bank, Barclays or Citibank). They have enormous capital. Capital flowing in and out of these corporations suit their policies and market sentiment and can be used as evidence of existing and potential trends. Capital Flow is money movement in and out of the market. We often hear on the news that one of the major banks intends to invest in a particular economy for which it forecasts exceptional growth; this is one of the ways it has to influence the global Forex market. Example: During the past few years, Brazil has been a developing market with a fast-growing economy. Commercial banks and corporations from all over the world, and also speculators, commercial firms, and venture capitalists have decided to invest heavily in this track, transferring a high volume of capital into Brazil. There are several other significant economic events that have a big impact on the Forex market. Imagine that all major economic journals and news sites including CNN, CNBC, and Bloomberg report that a certain well-known, major corporation is in a real danger of bankruptcy. You can imagine what is going to happen to its share price over the following days. Now, take the corporation out of this story and replace it with a country’s economy instead. You can imagine what is going to happen to its currency. Actually, you do not have to imagine! It is happening all over the world with the economies of U.S.A, Spain, Italy, Greece, Portugal, and others that are in danger. The effect is similar to stocks and shares. One essential difference between stocks and Forex is that prior information on stocks is absolutely illegal, while prior information on currencies isn’t, especially if it can help to predict trends. 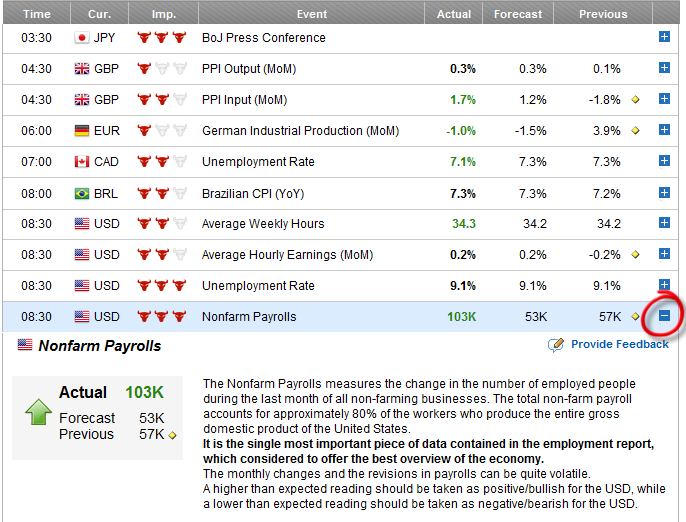 NFP (Non-Farm Payrolls) – Released on a monthly base, on the first Friday of each month. Presents the change in the number of unemployed over the last month (remember that the number of workers on payrolls changes between different periods, according to holidays, year’s end and vacations). NFP plays a powerful role, indicating the market’s general condition. The more positive the NFP, the better the condition of the market. It needs to be compared with both the previous month and the market’s expectations. GDP (Gross Domestic Product) – Total goods and services produced by a market’s labor (does not include imports). It measures the market’s standard of living and its health. If it rises (compared to the previous report), this indicates a healthy economy which will eventually lead to an interest rate increase. A GDP report can be lower than the previous report but still remain positive. Negative GDP, especially if it shows negative numbers more than once consecutively, should turn on a big red light concerning the stability of its currency. GDP has a big influence on decisions made by central banks regarding monetary policy. Its advantage (in traders’ eyes) is that it provides a general, clear picture of a given market, without complicated analyses. CPI (Consumer Price Index) – A basket of goods and products, which is published once a month. The market rate which the buyer (or borrower) has to pay the seller (or lender). If it rises, it indicates rising inflation (which in turn will eventually lead to the central bank increasing the interest rate). It is therefore considered an inflation index. The prices included in this index come from retail. When CPI is up but at a lower level than in the previous period, this indicates deflation (prices are still rising, but at a lower rate than previously). Remember: There is a positive relation between CPI and interest rate. A CPI that is rising may cause an increase in the interest rate. PPI (Producer Price Index) – Index of changes in the consumer goods prices (to the retail networks). In this case, frequent changes indicate changes in prices later on in the chain – consumer prices. The Index includes both prices of products and prices of materials required for production. COT (Commitment Of Traders Report) – A slightly different type of report. It does not measure economic conditions, but rather it publishes banks’, companies’ and venture capital holdings in the market. It is released every Friday at 2:30 pm EST (i.e.. New York). It helps us understand how different major forces in the market are going to invest their capital. It also helps us understand the general atmosphere and to predict in which direction the wind is going to blow in the future. This report is a great tool for long-term traders. It is also relevant for ‘swingers’. Tip: If the COT report includes data on “extreme net long/ short”, you can know that it indicates a change in trend in the next session! COT can be presented either as a report or a graph (below a currency chart). Unlike most of the technical indicators, COT measures volumes traded. 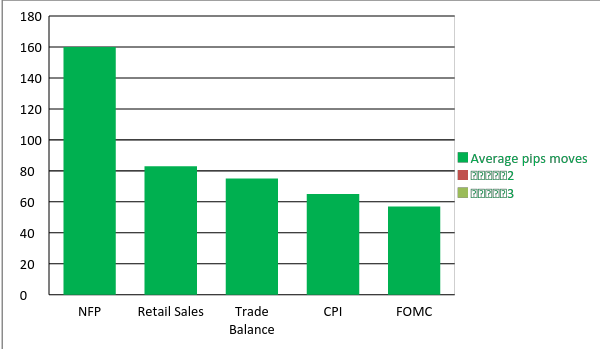 Unemployment Rate – A report on the percentage of the unemployed seeking jobs, out of total the potential labor force. This is published once a month and helps to get a general market view. A strong, healthy economy is characterized by decreasing numbers of job seekers, and by relatively low unemployment rates. A decline in those numbers leads to a stronger currency, and eventually to a rise in interest rates. Consumer Sentiment – Issued once a month. It expresses consumers’ attitude towards the economy. Tip: If using this report, compare its elements to those in a Consumer Sentiment Report from another economy. It will help you to make a decision on a good trading partner for the U.S. dollar (or any other major currency). 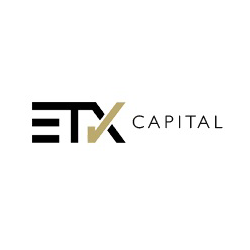 Capital Flow – The ratio of capital entering and exiting a market. The data can be either positive or negative. If positive, more investors will enter the market, and bolster its currency, in the same way as the supply/demand ratio. Increasing demand causes a stronger currency. Trade Balance – This report shows the ratio of imports to exports. If exports are higher, the ratio is positive! A positive ratio, especially if it is higher than the previous reports, strengthens a currency, making this currency more “desirable”. Retail Sales – An excellent index of an economy’s strength. Released once a month, around the 12th of the month, it shows changes in market trends regarding consumer purchases. 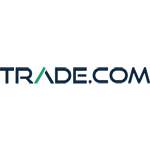 FOMC – Federal Open Market Committee is a board that determines the future direction of the United States’ monetary policy. The FOMC includes twelve members (reserve bank presidents, the chairman of the Fed, and governors), who meet eight times per year and make decisions regarding money supply, government securities, interest rates and the banking system. FOMC meetings are secret; therefore they are the subject of market speculations and large movements of currencies, mostly USD. Housing Stats – This says a great deal about recoveries in markets’ growth. Since the 2007-2008 global crisis, this report has played an important role. A rise in times of crises has considerable influence on a currency’s strength. During the last few years, Housing Starts have been under a magnifying glass, affecting the U.S. dollar as well as the American market in general. (Since the 2007 collapse, the American and also global real estate market have typically received pessimistic reports). Services/Industrial/Manufacturing PMI – This indicator shows the shape of the sectors of the economy which are crucial for any country. Some economies rely more on the service sector while others rely more on the manufacturing and industrial sectors. The US and UK economies are more dependent on the service sector so this economic indicator is more important in these two countries while the manufacturing sector is more important in Germany, China, Japan, France, Italy etc. Where Can We Find This Information? 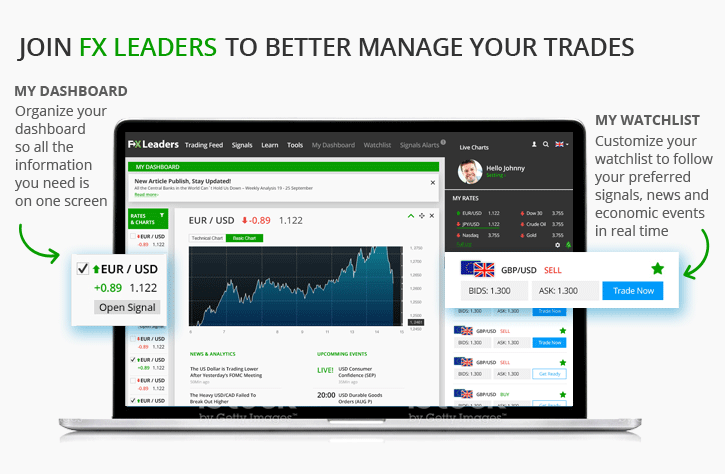 FX Leaders is one of the most popular sites in its field. 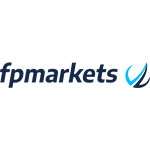 You will be able to find live market updates, forex trading strategies as well as advice on how to choose the right forex broker to suit your trading needs. An economic calendar is an important and integral part of your trading platform. It presents all significant economic announcements and releases as well as other fundamental events around the world on a daily basis, which have the potential to impact the market. 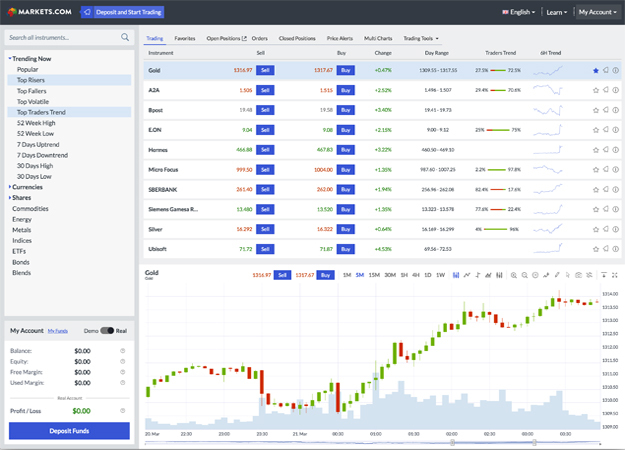 The best online trading platforms, such as MT4 and MT5, offer calendar services, Economic journals that present all significant events from throughout the world. They provide dates, data on each event and forecasts. Calendars contain all kinds of events, such as government announcements, summit conferences, central banks’ releases, reports and more. By using the calendar, you prepare yourself for the main events of the coming week/day. It is possible to trade at the same time as the events or to respond according to market forces as it is happening. However, as we are about to see, there are some events for which good preparations and entry into the market before the coming event can produce higher profits (since you are going to be there before the market responds to the release). This method suits highly experienced traders who do not hesitate to predict. 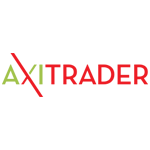 Actual – The actual release (Green means better than expected while red means worse than expected. Black means as expected). In some cases, expectation alone can affect major price movements. There are events that create a buzz, thereby causing major transactions and heavy traffic in pips as a result. Major events can be reports on employment or central bank’s’ announcements concerning the interest rate for example. Expectations alone might cause tens of pips to move, even up to 100 pips, all prior to the actual event! The reason for this is that many traders and speculators prepare themselves just before the coming event. (Assume that the event presents a totally different than expected scenario, the reaction would be a drastic price reversal, which in fact creates another fantastic opportunity to get into session and open a position). Consensus System – Before every major event, all kinds of professional analyses forecast the results. The majority of them come to a decision and a consensus is created. The heavy players do not wait for the actual results. They start buying or selling. So, large transactions start just before release, and obviously before the small “fishes” get into the market. The effect of the Consensus is that if the results match expectations, we are not really going to see a high volume of transactions because they have been already made. But! If we witness a surprising announcement, for better or worse, we should expect a massive rally! Why? Because all major players are in hurry to fix their previous moves! Here is a great opportunity to make some money! That is what the Consensus System is all about. Let’s take interest rates for instance: speculators around the world prepare themselves with expectations prior to the central bank’s release on the interest rate. We will be able to view intense trends prior to the announcement. An announcement that is different than expected will be followed by even more intense trends. Remember: Many traders (mostly ordinary speculators) still prefer the more solid and safe “Non-Directional Bias” system, which generally says to follow the rules, wait for the event to happen and only than to decide what to do, based on whether it is good or bad for the currency. The most influential news comes from the U.S., considered the number 1 economic force in the world (and also due to its currency, which is the most traded currency in the world). Fundamental analysis works very well in the majors. Majors are strongly affected by global events, and in addition, commissions on majors are relatively lower. Important: It is advised to look at the whole picture. There are usually several news releases and economic events taking place at the same time, affecting the market simultaneously, in different ways. For instance, if the number of unemployed in the U.S. was down last month, but the dollar still declines, the reason might be that in the long-term, the tendency is still negative, and investors cannot decide if it is the right time to buy dollars. Another possible reason is that despite encouraging numbers in the latest report, general numbers are still disappointing. A third reason might be the timing influence of the release: is it right after Christmas or next to another important holiday (periods that are characterized by a large, temporary workforce)? Who is the source for this event (Analysts, traders, a bank, central banks)? Sources such as governments and central banks usually are more trustworthy. That’s not the case for authoritarian or semi-authoritarian countries such as China, Russia, or Turkey. They tend to manipulate the data to make a better impression to suit their agenda on the domestic and international fronts. Is it by way of rumors, facts or opinions? You should pay attention to the wording: as expected/better than expected/worse than…etc. Remember that experienced traders have already made their positions based on their expectations. Pay attention to changes in price during the hours before the expected announcement. Monetary bodies’ past behavior provides us with very good indications regarding future behavior. Tip: It’s better to make as many comparisons of reports on interest rates and inflation as you can. Compare reports to previous periods and other markets in order to make an educated decision on which currency go short and which to go long. Look for the site’s calendar. Found it? Check out a few of the events being presented. Try to read and understand them, figure out what their consequences might be. How might they affect the market? Assume you predict that the European economic recovery is about to turn into a recession. On the other hand, optimistic reports on the American economy are released. What kind of action would you wish to take? How is increasing the interest rate going to affect the USD? Why? How would you react to the following release? How would you trade on this news? USD will get stronger. Price will go long. More investors will buy this currency by selling other ones. In Chapter 6 – Technical Forex Trading Strategies you will learn how to become a technical analyst and use some of the most commonly used technical trading strategies.